The founder of Girls Who Code shares one of her biggest life lessons: Go ahead and try. By all measures, I never should have started Girls Who Code. I had no idea how to code, I had never worked in the technology industry, and I had never started a nonprofit. But I couldn’t get the image of all those missing female faces in the tech classes I’d visited out of my head. So I made a few phone calls to solicit some advice from a few people I trust. Then a few more, and a few more. I spent a year meeting with anyone and everyone I could to learn about the tech industry and about teaching girls. Today, Girls Who Code is a global organization that has taught more than ninety thousand girls that they have what it takes to pursue a career in technology, but don’t kid yourself that its founder knew what she was doing when she first started. I have worked with many men in law, in finance, and now in the tech industry, and one trait they all seem to have in common is a willingness to step up to take on a challenge— regardless of whether or not they’re ultraprepared for it. If I ask my team at Girls Who Code who wants to spearhead a new business opportunity, without fail the dudes around the table will immediately step up—even the ones who’ve never done anything in that area before. If I ask one of my female employees to head up a big project in new and unfamiliar territory, however, more often than not she’ll question whether she’s qualified to take the lead or ask if she can sleep on it (which most of the time comes back with a no). I’ve seen countless men launch entire businesses without worrying about having the relevant training or expertise. This is in stark contrast to Tina, the smart, talented woman who cuts my hair. Tina wants to open her own salon, but because she doesn’t know how to build a website or start a company, she’s resigned herself to staying where she is. Instead of asking for help with her idea, Tina talked herself out of it. At some time or another, most of us women have done the same. Oh, wow . . . that could be great. I should do this. I’m definitely going to do this! Wait, but how about . . . ? I don’t know how to. . . . I can’t do . . . This is probably a dumb idea. 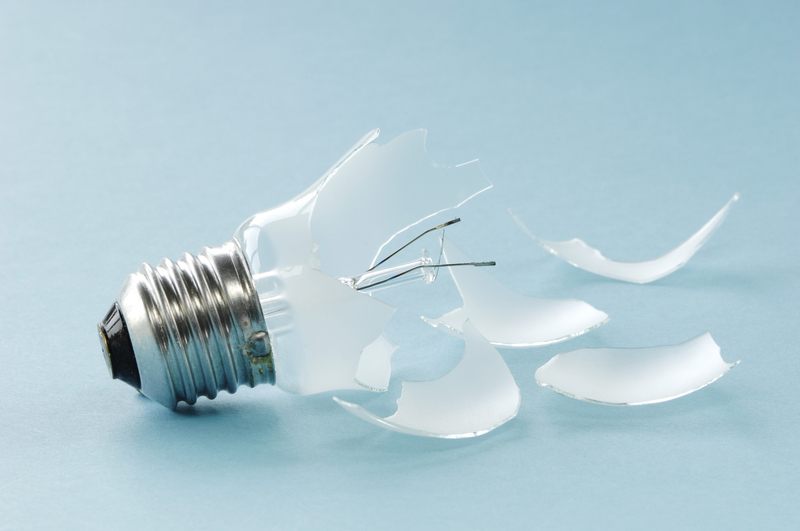 Almost as soon as a brilliant idea arises, that annoying voice in your head starts yapping about all the reasons you shouldn’t do it, what could go wrong, how you can fail, how arrogant you’ll seem for trying, and how stupid you will look when you fall on your face. By the time you’re done listening, you’ve talked yourself right out of trying. The trick to shutting up that annoying voice is to just start. It doesn’t matter if you don’t know absolutely everything you need to know right now to do a job—whether it’s running a company or becoming a mom. Most people don’t. They pick it up as they go along. Don’t know how to change a diaper? You’ll learn. Not sure how you’ll manage thirty employees? You’ll figure it out. You always do, don’t you? Next time you have that idea or project, instead of talking yourself out of it or putting it off for “someday,” just start the process in some small way: make a phone call, buy the URL, write the first paragraph, set up a meeting to talk to some people you trust to get their thoughts. No more waiting until you’re “ready.” As Cecile Richards, the formidable former president of Planned Parenthood said, if you’re waiting for the stars to all perfectly align, you’ll be waiting forever. You’ll never have the exact right résumé, experience, child-care arrangement, or wardrobe. There is no ideal moment to begin any more than there’s the perfect version of you. If you don’t take those first steps, you’ll always wonder what you missed out on. Far better to get caught trying than to never have tried at all. 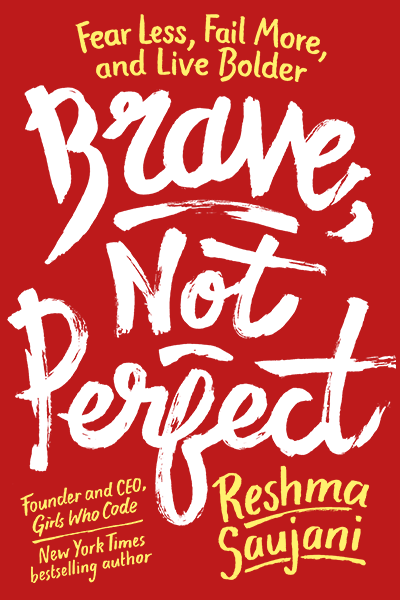 Adapted from BRAVE, NOT PERFECT: FEAR LESS, FAIL MORE, AND LIVE BOLDER Copyright © 2019 by Reshma Saujani. Published by Currency, an imprint of Penguin Random House LLC. Reshma Saujani is the Founder and CEO of Girls Who Code, the international nonprofit organization working to close the gender gap in technology while teaching girls confidence and bravery through coding. A lifelong activist, Saujani was the first Indian American woman to run for U.S. Congress. She is the author of three books, including Brave, Not Perfect, Women Who Don't Wait In Line and the New York Times Bestseller Girls Who Code: Learn to Code and Change the World. Reshma lives in New York City with her husband, Nihal, their son, Shaan, and their bulldog, Stanley.